Vietnam Veterans of America Chapter 920 recently helped inter A Vietnam-era veteran who died in a Plano, Texas, hospital with no apparent next of kin. James Wesley Mount, 78, died last month after spending several years in a nursing home in Carrollton and was buried with full military honors at DFW National Cemetery on March 28. 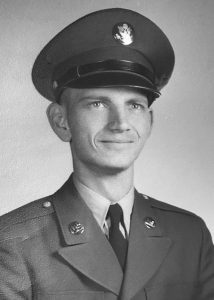 The chapter found that Mount was born in 1940, attended Woodrow Wilson High School in Dallas and served three years in the Army from 1961 to 1964, but couldn’t find any relatives. “It seems to me it’s getting more and more that these guys are dying, that they don’t have any family members,” chapter President Gary Steele told News West 9.